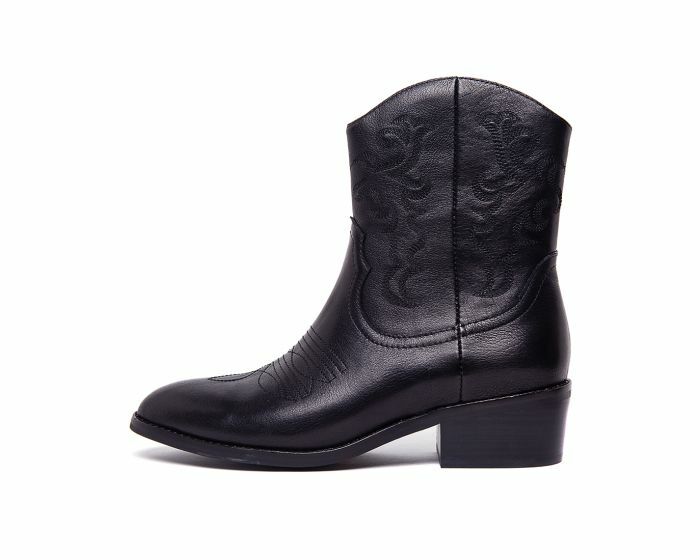 Add a subtle Western kick to your wardrobe with ZOFIE. 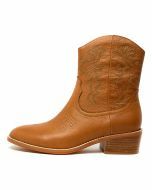 This cowboy boot features subtle stitching and a stacked heel, finished with a side zip for easy dressing. Style with a fringed shawl for boho vibes, or cut a tough edge with a slip dress and biker jacket.